RAFT RIVER – Boyd Newton McNeill, an 83-year-old resident of Raft River, passed away and was reunited with his departed loved ones in the early morning hours of Friday, Nov. 30, 2018, at Portneuf Medical Center in Pocatello. Boyd and his twin sister, Barbara, were born March 9, 1935, to Golden Herbert and Myrtle (Thorn) McNeill at the family home in Roosevelt, Duchesne County, Utah. He attended schools in Spring Canyon and graduated from high school in Tooele, Utah. During his early years, he helped in a coal mine up Red Creek in Fruitland, Utah, that was owned by his father. While attending Brigham Young University and working at a grocery store in Provo, Utah, he met Lorita Lillian Siders. They were married Sept. 3, 1956, in Evanston, Wyoming, and sealed for time and all eternity March 3, 1958, in the Logan Utah Temple. In 1958, they moved to Idaho and had resided in various places including: Bancroft, Chesterfield, Grace, Snowville, Utah, Malta, Rupert, and finally Raft River. Newt, a name by which many new him as, were aware that he loved life, hard work, and doing good for others. He always treated you like you were his best friend - and you were! He was fortunate enough to work up until the last two days of his life; it brought him such joy and happiness. Newt and Lorita raised six children, Kaye (Lloyd) Sorensen of Grace, Newton (Amy) McNeill of Syracuse, Utah, Donetta McNeill of Clearfield, Utah, Dean (Stacie) McNeill of Tremonton, Utah, Wesley (Victoria) McNeill of Beaver, Utah, and Joshua McNeill of Rexburg. He had 20 grandchildren and 22 great-grandchildren. After the death of his first wife, Lorita, Newt met Julia Brown from the Star area of Burley; they married Jan. 26, 2001, in the Logan Utah Temple and they had enjoyed the past 17 years together. This marriage blessed him with an extended family circle that included Julia’s five children, Julieann (Richard) Hemsley of Rupert, Pamela (Jim) Whittle of Oakley, Cherlyn (Steve) Stanger of Rupert, Lori Kay (Albert) Rosell of San Jose, Calif., and Robert B. (Maria) Brown of Burley; along with additional grand and great-grandchildren. In 2002, Newt and Julia served a mission for The Church of Jesus Christ of Latter-day Saints in the Texas Fort Worth Mission. This was a very enjoyable and fulfilling time during their married life. In addition to this first wife, Lorita, he was preceded in death by two brothers; two sisters; and a great-granddaughter. 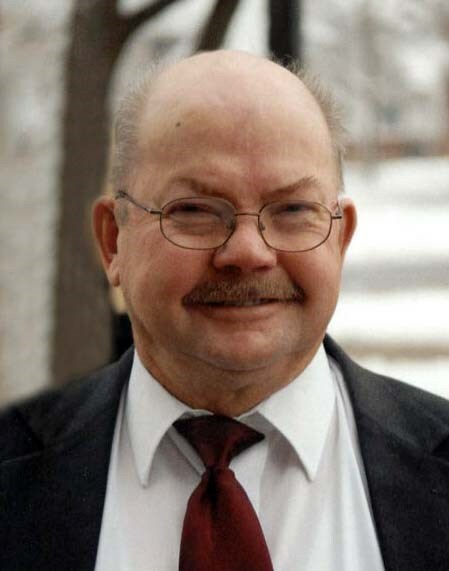 Friends may call from 6 until 8 p.m. Thursday, Dec. 6, at Rasmussen-Wilson Funeral Home, 1350 E. 16th St., in Burley. The funeral will be held at 1 p.m. Friday, Dec. 7, at The Church of Jesus Christ of Latter-day Saints – Raft River Ward, located at 2551 E. 300 S., of Declo, where a visitation will take place from 11 a.m. until 12:30 p.m. prior to the service. A graveside service will be held at 12 noon Saturday, Dec. 8, at Turner Cemetery, located west of Grace, Idaho.